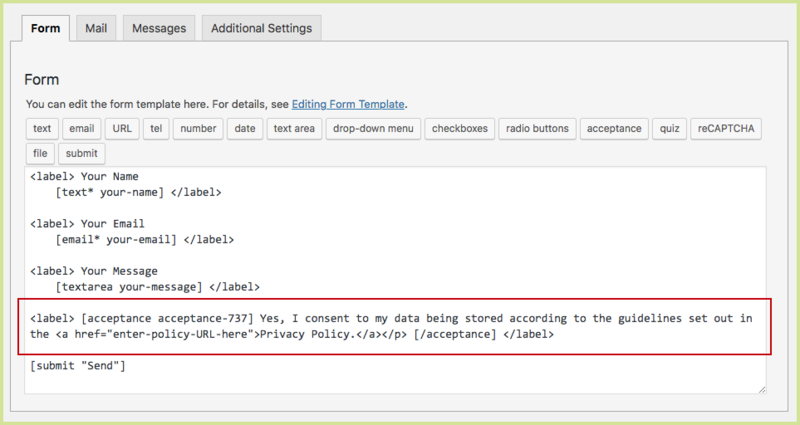 Have a privacy-friendly acceptance checkbox by copying and pasting the code below. 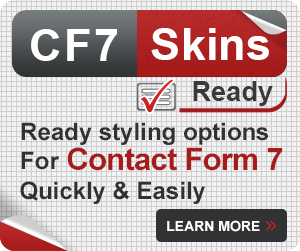 The acceptance tag is a checkbox that must be checked in order for the form to be submitted. 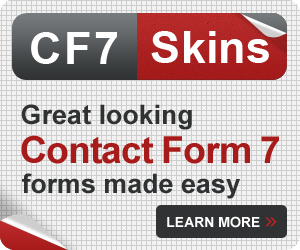 To do this in Contact Form 7, use an HTML hyperlink and Contact Form 7’s [acceptance] tag. Display the acceptance checkbox and URL as part of the same text label. If you have longer text to include, improve your form’s readability by separating the text from the acceptance checkbox. 1. Go to the Mail tab and scroll down to Message Body. 2. 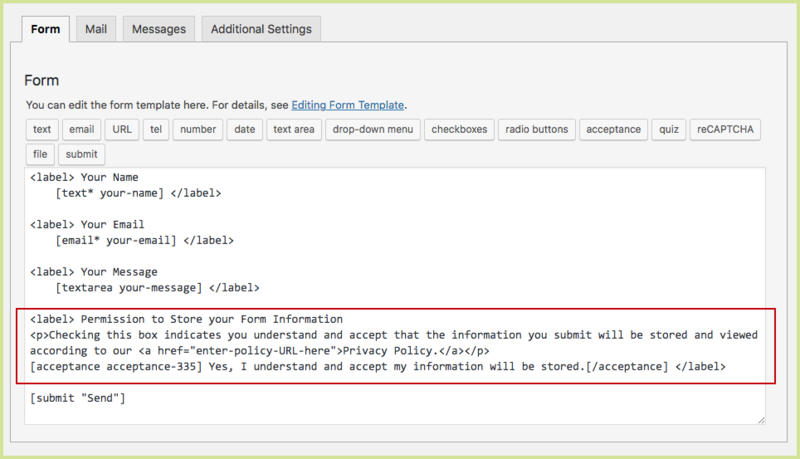 Copy and paste the acceptance tag (shown at the top of the mail section) into the message body field. Each submitted form you receive will have a record of consent. Did you know you can get free templates (and styles) to start with right now? 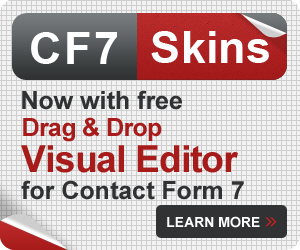 Download the free CF7 Skins plugin and use any of our Contact Form 7 form templates.